The U.S. Department of Labor released its occupational injuries summaries in mid-December 2016. Key findings (as reported by the CFOI) are listed below. As you read through these statistics, think about how they apply to you. Do you or someone you work with fall into one of the groups included in the summary? Did you or someone you work with experience an injury or near miss in the last year or two? 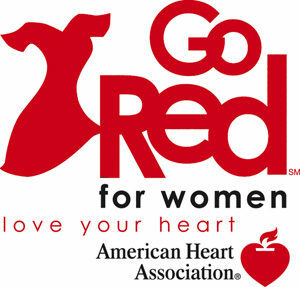 Heart disease and stroke cause 1 in 3 deaths among women each year, killing approximately one woman every 80 seconds. Fortunately, we can change that because 80 percent of cardiac and stroke events may be prevented with education and action. That’s why this year we are asking that you wear red on National Wear Red Day® Friday, February 3, 2017, encourage others to do the same and make the time to Know Your Numbers. Five numbers, that all women should know to take control of their heart health are: Total Cholesterol, HDL (good) Cholesterol, Blood Pressure, Blood Sugar and Body Mass Index (BMI). Knowing these numbers can help women and their healthcare provider determine their risk for developing cardiovascular diseases.